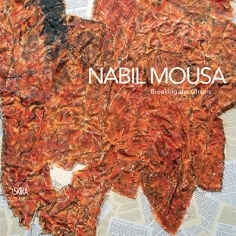 Nabil Mousa (b. 1966) is a sculptor, painter, and installation artist. His work focuses on the often fraught relationships between sexual identity, politics, and religion, manifest from personal, lived experience. Selected exhibitions include Mousa Retrospective and Dreams, both at Salamatina 874 Project, Atlanta (2015); Judgment Day 911, Mattress Factory, Pittsburgh (2012); and Catwalk Meets Canvas, High Museum of Art, Atlanta (2010). 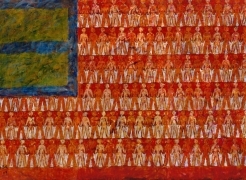 His work is included in many notable public and private collections, including GLAAD, New York, and the Buckhead Club, Atlanta.